As we approach the end of the hottest summer in the recorded history of the Earth’s climate, I want to take this opportunity to welcome you all back to LMU and to remind us all of the stewardship role we play in protecting our fragile planet. The stakes have never been so high as the seven human billion residents of our global ecosystem survive in dynamic and unpredictable settings. However, new findings may help us focus efforts in order to more effective in the task of climate change mitigation. A recent article appearing in the journal Science (26 Aug 2016: Vol. 353, Issue 6302, pp. 858-861 DOI: 10.1126/science.353.6302.858) by Douglas Starr, focuses on the work of Christopher Heede, formally of the Rocky Mountain Institute and now Climate Mitigation Services. A native of Norway, Dr. Heede has calculated that nearly two-thirds of all of the industrial greenhouse gasses have been directly or indirectly produced by only 90 companies. According to Heede, the companies are primarily in fossil fuel use and production, cement manufacturing and methane gas leaks. The initial study was first published in 2013 (Heede, R. Climatic Change (2014) 122: 229. doi:10.1007/s10584-013-0986-y). These data came as quite a shock to folks working in the climate change community and not surprisingly, have caused considerable controversy. As you can imagine, the responses were fast and furious, ranging from challenges to the veracity of the data, the ethics of assigning climate guilt to such a small number of companies, to the heralding of the study as a breakthrough in our understanding of climate human social dynamics. Dr. Heede recently received a subpoena to testify before an unfriendly committee in Congress. Such is the fate of many cutting-edge scientists who provide data that shake up the system. From my perspective, as the Executive Director of the LMU Center for Urban Resilience, I view this research as a critical step in shaping our climate action policy. In the same way that identifying point source pollution emitters in the 1970’s helped to dramatically clean our urban rivers, directing our focus on the healthy transformation of these carbon polluters can help make our biosphere more resilient. The dynamics of these problems are complex. As Dr. Heede points out, we have all consumed the products of these industries and generally benefitted from the services they provide, albeit, at great cost to the Earth’s ecosystems. Here at the LMU Center for Urban Resilience, we have many opportunities for students and faculty to participate in research and internship programs that allow you to engage these challenges head-on. We work closely with the Seaver College of Science and Engineering, Bellarmine College of Liberal Arts, the School of Education, and interdisciplinary centers such as The Academy of Catholic Though and Imagination, The Bay Foundation and The Center for Excellence in English Language Learning. Together, we are providing research and internship opportunities in urban tree canopy assessment, surveys in urban social science, ecological studies of urban meso-predators (coyotes, crows, cats), ecology curriculum development, restorative justice programs for underserved communities, urban agriculture, and international projects with other Mediterranean cities. We have support from the Annenberg Foundation, the National Science Foundation, U.S. Department of Education, The Collins Foundation and many other groups to help accelerate our work with communities. I invite you to contact me with your interests and let’s find a place for you here at CURes so that you can join the ranks of people making a positive difference in the great challenge of shepherding the Earth’s ecosystems. Dr. Eric Strauss serves as President’s Professor of Biology at Loyola Marymount University and Executive Director of CURes. With collaborative research specialties in animal behavior, endangered species management, urban ecosystems and science education, Eric has extended the model for faculty scholarship by co-founding the Urban Ecology Institute in Boston while he served as a faculty member at Boston College and CURes in LA, both of which provide educational, research and restoration programs to underserved neighborhoods and their residents. 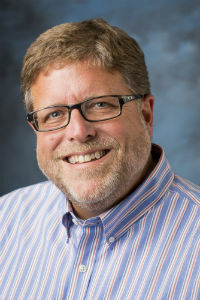 In addition, Dr. Strauss is the Founding Editor of a web-based peer-reviewed journal, Cities and the Environment, which is funded in part by the USDA Forest Service. His research includes collaborative long term studies of coyotes, White tailed deer, crows, turtles and other vertebrates, with a specialty in understanding wildlife in urban areas and the appropriate management responses to wildlife problems and zoonotic disease. His work also includes investigating the role of green space and urban forests in supporting of healthy neighborhoods and how those features can be used to improve science education and restorative justice. He has co-written multi-media textbooks in biology and urban ecology as well as hosting multiple video series on the life sciences and ecology. Dr. Strauss received his BS in Mass Communication from Emerson College and Ph.D. in Biology from Tufts University in 1990.